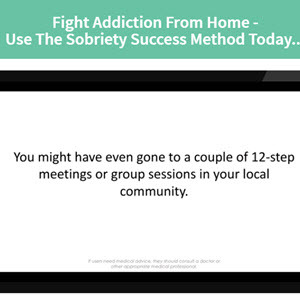 Twelve-step facilitation (TSF) is a modality that seeks to increase the SUD patient's attendance and active involvement in 12-step self-help groups such as Cocaine Anonymous (CA) and Narcotics Anonymous (NA). 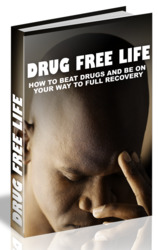 TSF is used in residential treatment programs as well as outpatient settings. Sessions are highly structured, often workbook guided, and cast the counselor in the role of facilitator of change, with patient involvement the true agent of change. The underlying 12-step principles are the same: the patient's lack of control must be accepted, willpower is insufficient to stop use, and abstinence is desired. Research has shown that the more 12-step self-help group involvement, both in terms of number of meetings attended and, more robustly, the degree of active participation, the greater the success of achieving abstinence and recovery (Mcintosh, 2009). Formal TSF counseling is outside the scope of most family medicine practices. However, physicians making a 12-step self-help group referral can increase the likelihood the patient will engage by (1) contracting with the patient to attend a certain number of meetings weekly, (2) having the patient call the local CA or NA hotline during the visit to set up his or her first meeting, and (3) encouraging attendance at several different meetings to ensure a "good fit." Checking in with patients previously referred or in long-term recovery on meeting attendance and 12-step involvement, such as sponsorship and step work, is supportive of recovery and easily integrated into the primary care visit. Cognitive-behavioral therapy and contingency management decrease cocaine use and increase treatment retention (Knapp et al., 2007) (SOR: B). Twelve-step involvement positively correlates with achieving abstinence and recovery (McIntosh, 2009) (SOR: C).